If you are not aware of the tragic circumstances currently being battled through by the people of beautiful Christchurch, you must have had your head in the sand for the last week. My heart goes out to the people of Christchurch and the surrounding villages. They will need our support for the months and years to come. Rebuilding Christchurch will take a long time, and the city will never be the same. The astrology of this event points to a change of the very personality of Christchurch due to these events. The city will be forever sobered by the earthquakes and terrible loss of life. Of course, we don’t really need astrology to tell us that. Eris is the name of the dwarf planet discovered beyond Pluto, which led to Pluto being reclassified as a dwarf planet. In mythology, Eris is the Goddess of strife and discord. She is cruel, starts wars and has no mercy. In the chart for Christchurch (March 27, 1848) Eris is conjunct Neptune at 1 degree of Pisces. This is a beautiful description of the New Zealand landscape – jagged mountains and rolling hills, created by strife within the earth, as the Pacific plate and the Australian plate grate against each other. This conjunction is currently being transited by Chiron and Mars. Eris and Mars, by their very natures cannot be the happiest of bedfellows. Mars and Chiron are reminding everyone of the devastating forces applied by the earth to make somewhere as beautiful as Christchurch. While destroying the feeble buildings erected by humans, new geology is also being created. It is also a timely reminder of the power of the earth, an instruction to people to be careful about where we build our houses and make ourselves at home. While we like to think we control the earth, the reverse is actually true, and the rug can be pulled out from under us at any time. As Brisbane learnt during the floods, just because a natural event hasn’t happened for a while, forgetting the power of the earth is a great mistake. Certain types of buildings should not be built in earthquake zones, and there are certain areas in earthquake zones they should not be built at all. 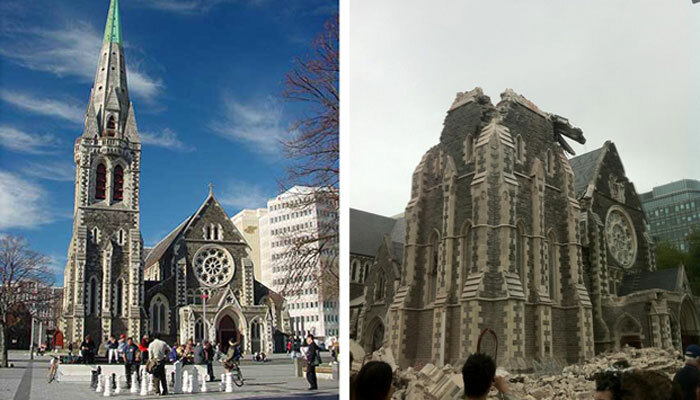 Christchurch will learn from this, and will be rebuilt to withstand this sort of event. Earthquakes are very Plutonic events (and Pluto is sextiling the Venus in Christchurch’s chart) with mass destruction the preliminary to the creation of something beautiful and new. As with all Pluto transits, it does take a period of mourning and loss before we can find the beautiful and new, and I don’t think we have seen the last big earthquake for this particular event. Christchurch will rebuild, it will be wiser and stronger for this series of challenges and it will not forget its fallen sons and daughters.